Christmas Tree in Six Battery Road’s Lobby. It’s backdrop is Singapore’s “Highest Vertical Garden”. 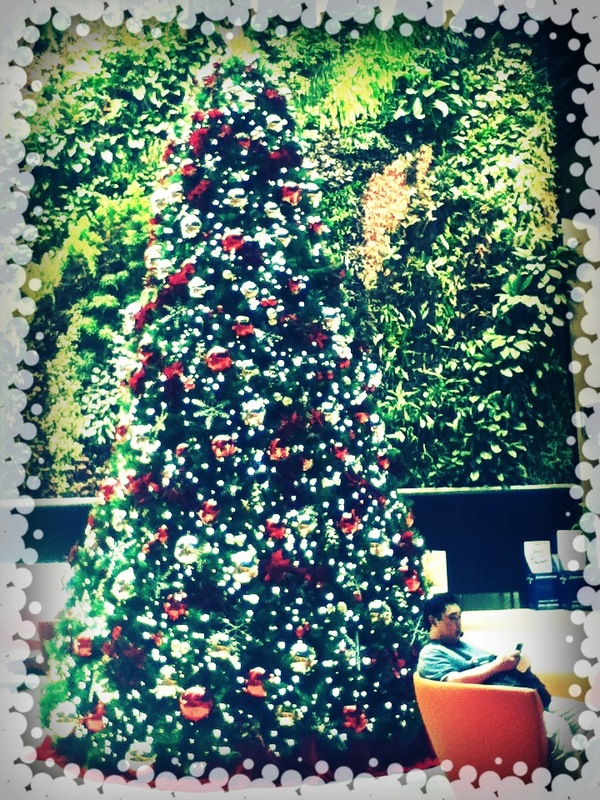 Christmas Tree in UOB Building in the Central Business District. I love the red ribbons. 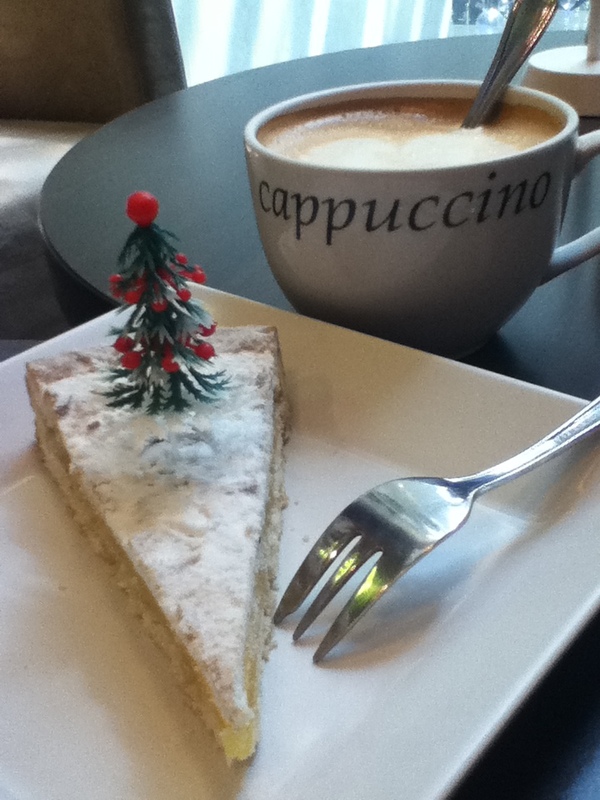 Mini-Tree on top of my Grandma’s Lemon Pie at Paninis, 5th Level, One Raffles Place. So Cute. I had to keep the tree. 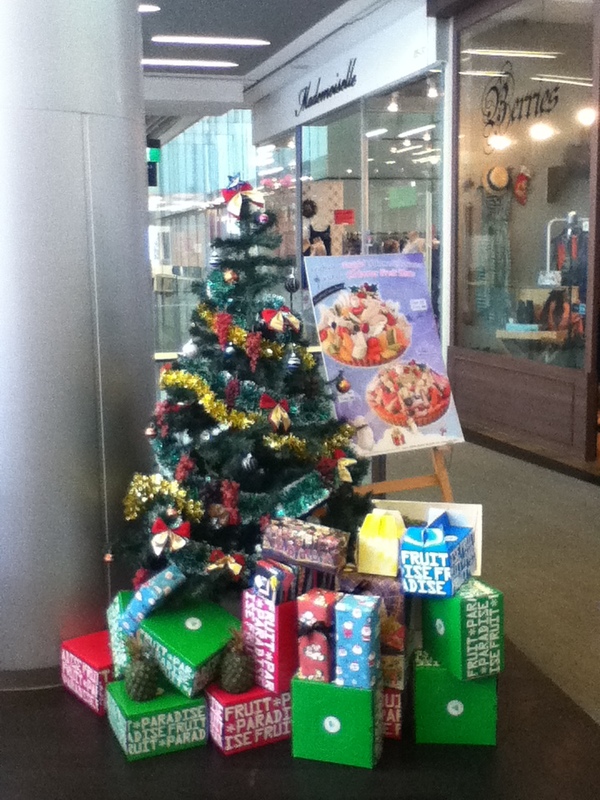 The tree that I put up in Fruit Paradise, Orchard Central. 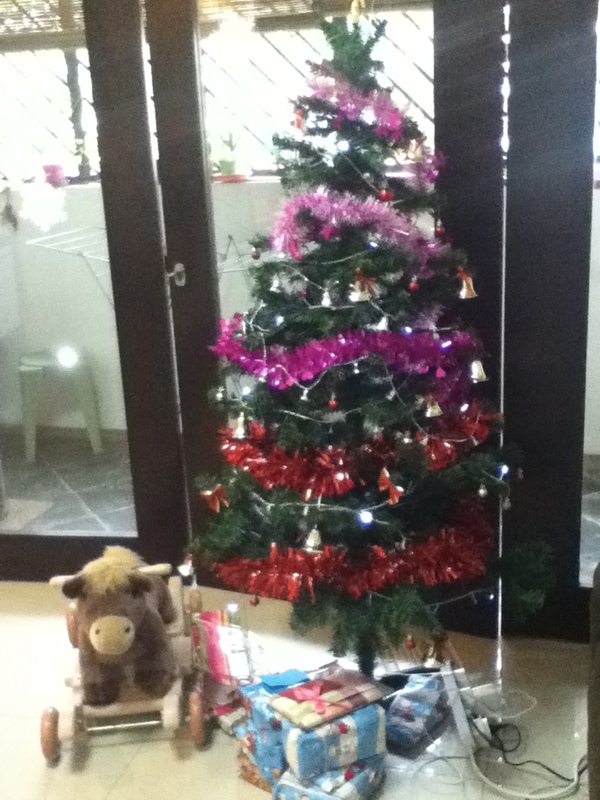 Thanks to the Kitchen staff for the gifts under the tree. 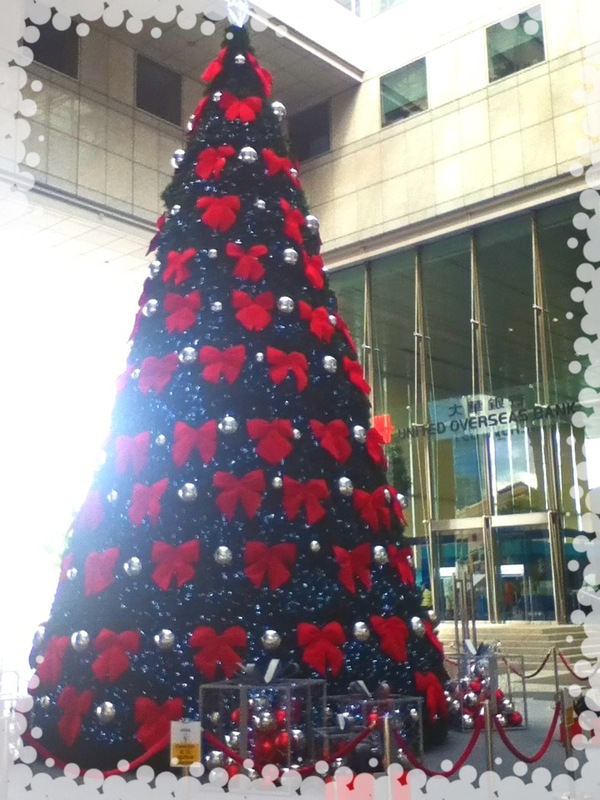 More photos of other Christmas Trees I found all over Singapore.